I’m T.W. Bright, author of Bright and the Bully. When I was a kid, if anyone would have told me I was going to be a writer, I would have laughed at them. I grew up in a small Michigan town, without many positive role models, let alone any interest in English class. Throughout my adult life, that all changed though and I’ve done my best to be a positive role model for kids that I have influence over. Currently, I hold the Vice President position of the State Youth Committee for my church and work with the local children’s transportation company. Additionally, I’ve searched and found no other books that approached being a superhero in this manner and I wanted to change that. I want young children to learn that they can be a superhero without violence, and be a positive force in their community. Being a writer has been an unbelievable joy to me and one that I feel the Lord has called me to do. 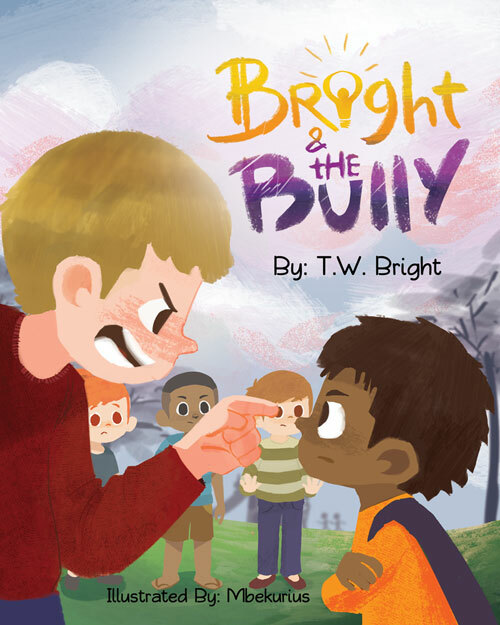 Bright and the Bully is based on Matthew 5:14, “You are the light of the world.” When Brighton is first faced with conflict, he imagines himself as a typical superhero who repays violence for violence. Then he hears his inner voice, the Holy Spirit, telling him that isn’t the right way to do things. When it comes to bullying, often the bystanders are as much to blame for the problem as the bully himself. Instead of focusing on the individual victim, this story focuses more on the bystanders. When Brighton listens to his inner voice, he becomes Bright the Hero and brings together all of the children to deal with the conflict together in a positive way. 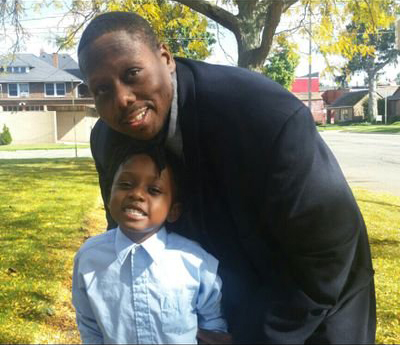 The main objective is to teach children they don’t have to wear a cape to be a hero. Brighton, in Bright and the Bully, is based on my young nephew, pictured with me there, who has been an inspiration to me for many more stories. I look forward to bringing more children’s books to help inspire young children of all colors to be a positive force in their communities.Thanks for stopping by! If you’d like to keep up to date with T.W. Bright books – add your name and email! Copyright © 2019 T.W. Bright. All Rights Reserved.